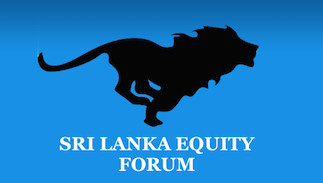 Sri Lanka’s benchmark stock index closed up Tuesday, after five days of losses, supported by price gains in the local unit of the Nestle food multinational, in which there was foreign buying, and a tobacco monopoly. The All Share Price Index closed at 6,147.27, up 18.32 points (0.3%) while the more liquid SP SL20 index fell 4.73 points (0.1%) to close at 3,333.42 down. Turnover was a low Rs410 million. Brokers Asia Securities said estimated net foreign buying topped in Nestle Lanka, which closed at Rs1,801, up 2.9% or Rs50.90. Ceylon Tobacco Company gained Rs15.50 or 1.3% to close at Rs1,175.50. Crossings or off-the-floor block deals accounted for 31% of the turnover with two crossings recorded in RIL Property, which closed unchanged at Rs7.40. There was one crossing in John Keells Holdings which closed at Rs139.70, down 20 cents or 0.1%. Bartleet Religare Securities said foreign interest in Nestle Lanka moved the stock in to the top five list with the highest inflow of Rs40.5 million. Foreigners were net sellers for the day with foreign selling accounting for 33% of the day’s turnover while the highest outflows were seen in Commercial Bank, JKH, Hemas Holdings and Distilleries.